I don’t like what it does to people, both when we have it and when we don’t. 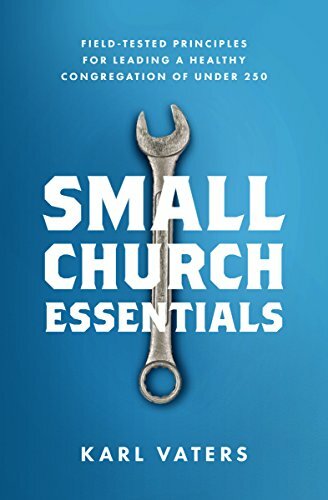 I don’t like how having too little or having too much of it changes churches, ministries and people. And I don’t like the amount of time and energy that gets sapped from doing ministry to deal with fundraising, budgets and cost control. But do you know what I really hate about money? When I don’t have enough of it. How’s that for one of life’s crazy little ironies? Money may be the only thing in my life that I both dislike intensely, but I want more of. Love/hate. No wonder Jesus warned us we can’t serve both God and Mammon, the god of money (Matthew 6:24). If money all by itself can make you crazy, trying to serve God and money at the same time will turn you inside-out. Not having enough money is a huge problem in life and in ministry. Yet it’s just the way things are – especially in a small church. One of the challenges every small church has in common: how do we do more ministry with so little money? But helping those who are in even greater need than we are is one of the primary callings of the church. Which makes this one of the challenges every small church has in common: how do we do more ministry with so little money? Because of my intense dislike of money, I have written very little about it, but it’s one of the subjects I am asked about most often. So, despite my misgivings – or maybe because of them – today is the first of several blog posts on the subject of Money And The Small Church. Click here to read more posts in the series. Truly everything. We can’t function in society without earning, managing and spending money. It touches our ability to eat, sleep, raise a family, stay healthy, lead a church, bless others, you name it. How we earn, spend, save and give is a barometer of our character. There are few aspects of our lives that impact us as universally as money. While having money is no guarantee of ministry success or church health – and can sometimes undermine it – poor money management will undermine every effort we put into ministry.